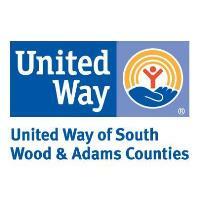 WISCONSIN RAPIDS, WI – Since early September until October 19th, United Way of South Wood & Adams Counties has been registering local residents to have their yards raked by volunteers during the annual event, “Day of Caring” which will take place this year on November 3, 2018. To date, 77 yards have registered for this service. Residents from the community that utilize this event are elderly and/or disabled community members who are unable to rake their yards themselves or cannot afford to pay for services. Every year, volunteers help these residents clean up their yards, to help prepare their yards for the winter months. With 77 yards signed up needing help, we need help from the community for this event. In 2017, 430 volunteers turned out for Day of Caring and we anticipate needing the same amount of volunteers this year. All volunteers who join us during Day of Caring receive a FREE breakfast and t-shirt! The deadline to pre-register to volunteer is Oct. 31, 2018. Volunteers are encouraged to pre-register so they can be guaranteed a shirt in their size. Pre-registration also allows organizers to prepare enough breakfast for everyone to enjoy before going out to yards to rake. United Way’s Volunteer Center thanks this year’s t-shirt sponsors: Cranberry Valley Girl Scouts, Port Edwards Lion’s Club, VFW Post 2534, Wisconsin Rapids Kiwanis Club, and Wisconsin Rapids Noon Rotary Club. We thank 2018’s breakfast sponsors: Kwik Trip and Pepsi. We would also like to say a big “thank you” to the Grand Rapids Lion’s Club for the use of their facilities, providing volunteers and cooking.